I am trying to gauge interest on a breakfast run from JHB to Stonehaven in Vanderbijpark for all the coal pushers. 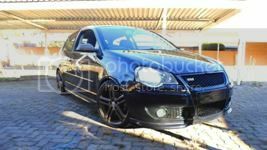 Ive seen a lot of good looking polo's/120d's/Cupra's etc on the road in jozi and getting them together for a little run could be fun. PD-Tuning Software, HID Fogs, HID Mains, Debadge Grill, Yellow Lamin-X fogs, Maxtrac Coilovers, Custom Bronze Rims, & FMIC. so do i qualify if my car smokes? Yeah keep us posted on dates and i might be keen as well!